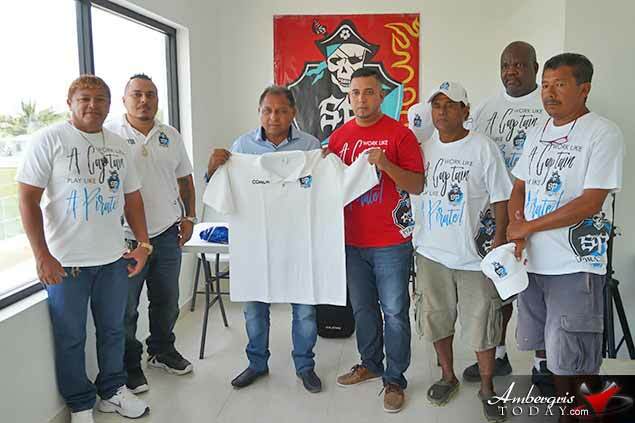 The San Pedro Pirates Futbol Club yesterday, Thursday, May 10, 2018, made a special announcement of the introduction of a new managing team, coach and coaching staff which they are positive will lead them to victory in the upcoming Premier League of Belize (PLB) soccer competition. President and owner of the San Pedro Pirates, Emiliano Rivera has formed a committee with members how have various skills in different areas of the sport. He is joined by his wife as secretary of the club and by Tony Maldonado and Hector Alamialla as Co-Managers, Felipe Sansorez as Marketing Manager and Eiden Salazar in Public Relations. The San Pedro Pirates are looking to add five international players to the team that will infuse more a professional dynamic to the team. There are already nine players coming in from Colombia, Nicaragua and Mexico to try out for the team. The best five will be selected to complement the rest of the local and national team members.